The MSI 15.6” GL63 8RC Gaming Notebook is powered by Hexa Core processors so you can take a huge leap in performance. 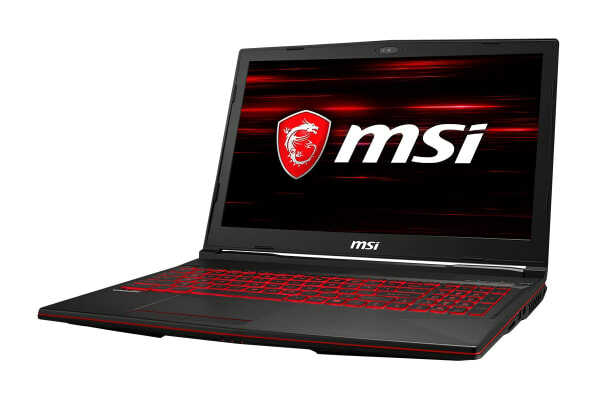 Unleash your gaming dominance with the revolutionary new GPUs that turn your mobile rig into a sleek, powerful gaming weapon. 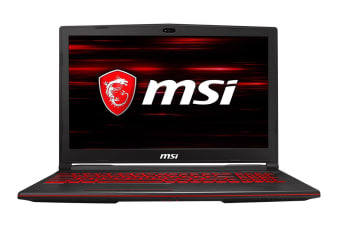 GeForce GTX1050 GPUs have come to laptops, powered by the game-changing NVIDIA Pascal architecture to deliver unbeatable energy-efficiency, gaming technologies and VR immersion wherever you game. As the only gaming laptop with 120Hz refresh rate and 3ms response time panel, GE is the go-to companion you can count on to never lose a detail during chaotic gameplays. The level of realism is drawn from the panel’s ability to produce up to 120 picture frames per second, topped with 94% NTSC Colour Gamut calibration to bring you the most vibrant visuals for your ultimate entertainment pleasures. MSI innovative Matrix display supports up to 2 external displays simultaneously through one HDMI 1.4 and one MINI DisplayPort 1.2. Connect the laptop to HDTV display; Matrix Display supports 4K output with a resolution up to 3840 × 2160. Gamers can feel every engine sound roaring past with upgraded giant speakers. Exclusive audio module design and independent sound chamber for top-notch auditory sensation. 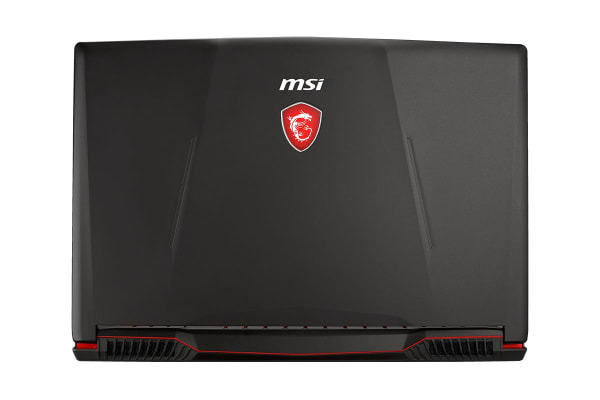 The MSI Audio Boost design enhances the output sound detail and sound stage by 30% more. Get ready to be amazed by the all new Nahimic 3 and live the gaming immersion like never before! With simple and intuitive new UI, the Nahimic 3 not only further enhances in game 3D surround sound, but also offers even more finite control over your music, movies and conference calls.